Why should you charge me with your documentation project and no other technical documentation service provider? 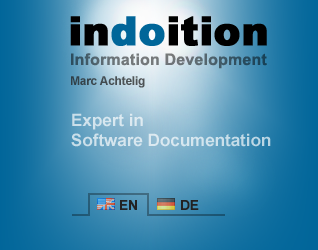 ▪I have lots of experience in both small and in large documentation projects (+25 years). ▪I don’t claim to be an expert in all fields but from the beginning have specialized in software documentation and software user assistance (+25 years). ▪I don’t like making any false promises and thus will tell you frankly if I am not fully qualified for the job or if I don’t have enough time. ▪I work on each of my projects with full commitment. ▪The results of my work don’t tend to be unsatisfactory. (Note: Well, this was a double negation, which is something that you should avoid in clear texts. But it seems easier to me than some even more arrogant form of self-praise. What I mean is that you will like the results—and the users of your products will like the results, too.) See also Clients and References.